Today is my day off and where better to spend it than at the RIAD legal expenses conference in Brussels looking at the issue of online dispute resolution? 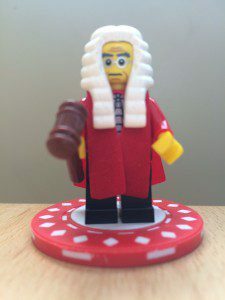 Ok, many people will think that I have finally lost the plot but actually legal expenses insurers have mediation in their gift for customers with claims that need sorting out quickly and effectively. Like it or not online dispute resolution is coming to the UK with the EU ODR portal being compulsory from 9 January and all the talk in legal circles being about closing Courts and replacing them with virtual courts and virtual judges (or Designated Judicial Officers or Registrars) as part of Richard Susskind’s vision of an utopian online justice system. There is a sense of inevitability about the increased use of IT in the justice system. Briggs LJ is preparing a report into the justice system which he will be publishing by the end of the year. Change is inevitable, like death and taxes and there is no point trying to reverse the tide. We cannot de-invent the Internet. It has already revolutionised the delivery of legal services. I am really not that old yet when I started out in practice at Pinsents in 1996 I didn’t have access to a desktop computer and time was recorded on a yellow time sheet and then inputted by each fee earner’s secretary at the end of each day! We didn’t send any emails. We dictated letters on a cassette recording machine. (?) It has been a struggle for the courts to keep up with the speed of change and it will take a lot of investment to improve things and to bring in a paperless Court to mirror the paperless office. It occurs to me that there was no need for me to attend this conference in person. It was quite literally a waste of time to have taken a car, Ryanair, a bus and a taxi to Belgium, (risking various complaints on my way) when I could have attended by video link! In the mediation world we are already embracing technology and offer mediation by telephone or online which has distinct advantages in terms of avoiding emotional physical meetings and saving travel and venue costs and time. I am hoping that today I will find out that legal expenses insurers are ready to use online mediation to resolve policyholders’ disputes…. O’ brave new world that has such people in it!